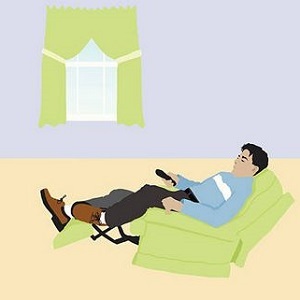 [Blind Gossip] This very famous married movie star wanted to buy a new chair for her husband. Instead of calling a decorator, she decided to shop for it herself at a store in Southern California. She brought her husband along. He did not look happy to be there! He looked very bored and very annoyed. He wanted a big comfortable reclining chair, but every time he picked one out, she told him his choice was hideous. I felt kind of bad for him. She didn’t react at all! She just spent a few more minutes in the store and then left without buying anything. We’re sure they live in separate homes, so it is interesting that she is making the decisions for his home, too! [Optional] Have you and your partner ever fought over home decor? What did you fight about? Who won? Sure, usually over cost. Having nice things is great, but gotta have a budget regardless. The discussions were always about staying in the budget. Nic and Keith live in Nashville, the person in the blind was furniture shopping in SoCal, so not her. Julia Roberts? She seems cold & controlling enough. Actress: getting a Julia Roberts vibe here. Her husband, Danny, lives across the street from the family’s Malibu mansion & he probably needed a chair. This sounds like Julia Roberts to me. Julia Roberts? I reading that she and her husband live in separate homes. We fought over hardwood floors vs carpet. He won because I got sick of his whining, so we have carpet. We’re also separated now, but that’s because he started screwing his friend’s wife. Julia Roberts wife of Danny Moder. Idk, but how embarrassing for her. Julia Roberts & Danny Mulder(sp?). So, a normal guy trying to enjoy his weekend and avoid being dragged to the store to shop for more crap. He can get that chair on Amazon and it’ll be at his doorstep in a day. I hope he gets what he wants and has a man cave to put it in. I concur. Let him be. This should have a like button. Julia Roberts. She’s very controlling. She needs to ease up. No idea on the actress. No, no interior decorating fights. We have similar tastes so whoever does the choosing of décor gets a thumbs up from the other. Really, how bad does furniture etc. have to be to get in a fight over it with your spouse? Why is everyone guessing Julia Roberts? What’s the tip off in the wording of the blind?